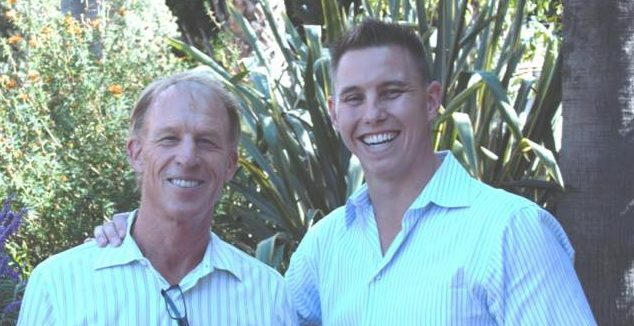 Editor’s Note: This is the first in a series about developers Ryan Petetit and John Belsher, their bankruptcies, tax liens and lawsuits. The principals of a San Luis Obispo-based development company have filed multiple bankruptcies associated with controversial projects in San Luis Obispo and Templeton which could lead to the projects failing. The projects include a proposed mixed-use development in downtown San Luis Obispo that spans from Marsh Street, down Nipomo Street on to Hiquera Street. Late last year, the city approved the project discounting SLO residents who said the project threatened to destroy the character of the Jack House gardens. Several years ago, John Belsher and Ryan Petetit announced plans to construct three four-story buildings in downtown San Luis Obispo the developers dubbed “San Luis Square.” Spanning four lots, including the old Foster Freeze property and 581 Higuera Street, the plans include a hotel, 20,000 feet of commercial space and 60 residential units. With the assistance of SLO County Supervisor Adam Hill, who had lobbied the city to approve the proposed project, the proposal received city approval. However, construction work on the project has not started. On Aug. 3, a lender filed a notice of default for $1,050,000 on one of the four parcels tied to the San Luis Square project. Two weeks later, Belsher filed Chapter 11 bankruptcy on the 581 Hiquera Restaurant Group LLC, the company that owns the property at 581 Higuera Street, which is owned owned by PB Companies LLC, which is owned by Belsher and Petetit. The Higuera Street property is assessed at $1,605,107. Aside from the $1,050,000 owed to the Lone Oak Fund, in 2014 the Don Judkins Retirement Trust loaned $1 million on the project, and in 2016, Bradley Deick loaned the developers $200,000. Affiliates of Belsher and Petetit claim SLO County Supervisor Adam Hill worked as a paid consultant for the developers as the proposal was developed. Even though Hill identifies himself on documents filed with the state as the “managing member” of a limited liability corporation tied to Belsher and Petetit, Hill has repeatedly denied that he works with the developers. In 2012, Belsher and Petetit created multiple development companies. By 2015, their development portfolio included more than a dozen projects and as many allegations the pair were failing to pay their bills. In 2014, Besher and Petetit’s PB Companies announced plans to construct a $60 million, 80-bed assisted living facility on Las Tablas Road in Templeton. On July 5, 2018, Belsher and Petetit filed chapter 11 bankruptcy on the LLC that owns the property associated with their proposed Templeton assisted living facility. The developers list the property as an asset worth $6 million and their debt at $2,528,182. Debts include $784,024 owed to an LLC managed by Mark Woolpert. A couple from Bakersfield, Frank and Tina Cantelimi, invested $1,706,314. In addition, the bankruptcy lists $37,843 owed in property taxes. After failing to get city approval on another proposed project in San Luis Obispo, Belsher and Petetit filed Chapter 7 bankruptcy to relieve them from a $2.6 million debt. In 2013, Belsher and Petetit were working on a plan to build four two-story homes on Grand Avenue near Cal Poly in San Luis Obispo, a plan that failed to get city approval. In July 2018, Belsher and Petetit filed bankruptcy on PB&S LLC, the company that owned the two parcels the pair planned to develop on Grand Avenue. In the bankruptcy filing, Belsher lists the value of the property at $1,561,361 and the real property secured debt at $2,653,038. The creditors included a couple from Bakersfield who invested $1,653,038, Heritage Oaks Bank at $220,500 and Belsher at $347,000. On Aug. 10, 2018, the Grand Avenue property sold for $700,000 at an auction held in the breezeway next to the county building. Since becoming partners in 2012, Belsher and Petetit have been under fire for reportedly not paying subcontractors, bouncing checks, commingling investor funds, diverting investment monies, utilizing shell companies and paying public officials. Adam Hill is up to his neck in Petetit and Belsher’s business. Birds of a feather flock together. Adam Hill has Diplomatic Amunity, right Mr. Dow?